Exciting news from the Create Beautiful Hair head office! 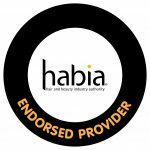 We are now a Habia Endorsed Provider. Habia, the hair & beauty industry authority. “Habia is the UK government approved standards setting body for hair, beauty, nails. . .
CPD stands for ‘Continuing Professional Development’ and it’s a huge benefit to anyone looking to do just that. 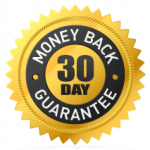 It is seen as a benchmark of quality, not only by employers but by potential clients. Whether you’re working as a freelance hair and makeup artist or working as part of a team in a hair salon. Keeping on top of all the current trends hand in hand with exceptional skill is a sure way to land your dream job. The beauty industry is one of the most competitive out there, so keeping your skill-set current is a must to keep your clients and stop them going elsewhere. All students taking our Online Bridal Hair Course will now enjoy the added benefit of earning valuable CPD hours as you learn. When searching for a course, I was looking for something I could do with little experience. I had only had experience doing my own hair until this course. I now feel like I could do any of the styles. A truly inspirational lady who has taken my confidence up massively. Thank you! Pam is the most lovely lady and wonderful teacher. After doing this course I feel like I have the foundations to do anything. Would highly recommend!